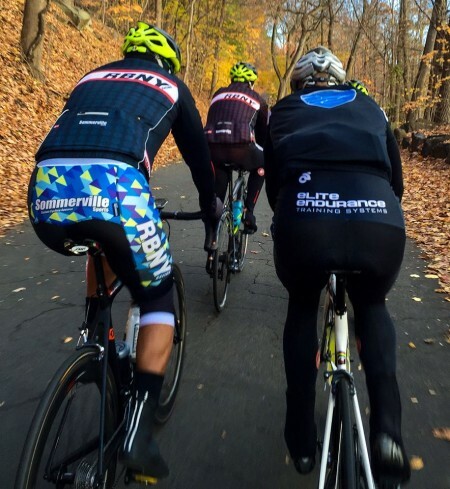 This Saturday morning, Coach Kenneth Lundgren and Lupus Racing Team star cyclist Gavriel Epstein will lead an open group ride from the Radical Velo bike shop in Englewood NJ, just minutes downhill from GWB. Radical Velo address: 15 S Dean St, Englewood NJ. WHEELS DOWN 8:15am. The Breakfast Club Ride is a social Saturday morning ride — the group will dictate the pace but Lundgren and Epstein will ensure the main group stays together and that all riders are comfortable. All experienced and interested riders are welcome to join. Ride time is 2-2.5h, flat-rolling terrain.